The experience & success of simply emailing the frosted corn photos to a list of grain analysts had me thinking about social media quite a bit this year. So, I started a twitter account @commodityweek and pretty quickly had about 40 followers. This all before ever mentioning it On Air. 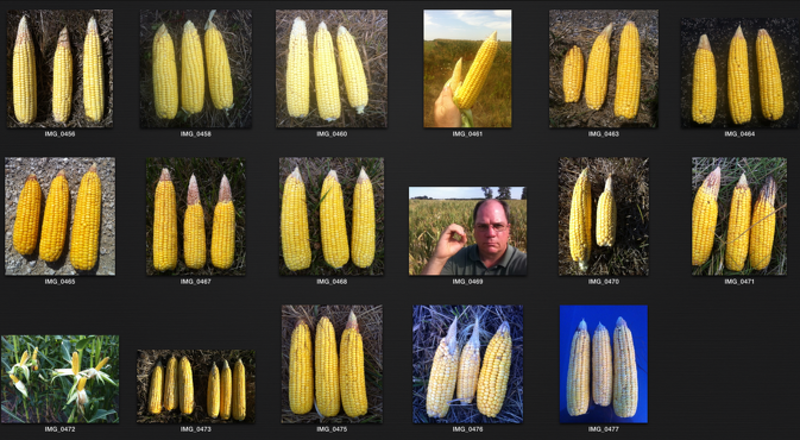 The power of this medium came home when I took a Sunday drive to purposely scout the corn crop in central Illinois. Over the 11 hour, 16 stop, 300 mile drive I tweeted results from each stop and, amazingly, picked up 8 followers! Again, I was using what was in my pocket, and this time a real - if small - video camera. The iPhone photos, and Twitter logged exact locations which allowed me to produce a TV news segment of my ride for air later that week. It was clear in June that much of the Midwest was suffering very dry conditions, but few had really been into the field to see what was happening. I simply decided to pull over and use what was in my pocket, an iPhone, to give a running commentary from two different sites. Both of these iPhone videos were posted into the radio station website at www.willag.org. Most of the WILLAg listeners hear me talk about my father often on the air. It was nice to let them see him. Dad is 86 years old in this video. He golfed 36 holes earlier in the spring, and helped my brothers plant this corn crop. If only we could all be so active in our old age.